It isn’t easy choosing the perfect email or marketing automation tool. We know that. Our goal is to make it as easy as possible to find the right email service provider. And we strive to be a generous source of information about everything concerning that topic. Email Vendor Selection was founded in 2009, around that time there wasn’t any quality source of information for all those email marketeers evaluating email service providers. At first, the site was based on a practical long list of email marketing and marketing automation providers that we had reviewed over the years before. This later became the Email service provider list and now has over 402 ESPs. Later articles and more and more information was added. Our goal is to be a comprehensive source of information about just that topic and nothing else. We will help you find and manage your perfect ESP. It isn’t easy choosing the perfect email vendor, I know. So take a look around the site but also feel free to contact me via twitter, drop me an email or use the contact form if you have any questions. 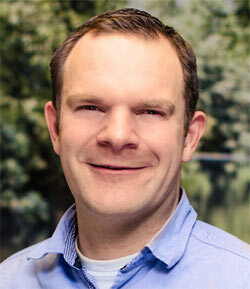 Jordie van Rijn has over 12 years of hands-on experience as an independent email marketing consultant with his company emailmonday. He is an blogger, speaker and consultant in the field of email marketing and editor of the Email Vendor Features and Functions Guide.